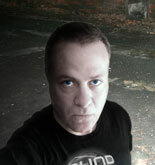 Sound Sphere Recordings was started in 1996 by Los Angeles native, Eric Hull, a.k.a. E-Sassin. Unable to find any Stateside labels willing to release any American drum & bass music, E-Sassin founded Sound Sphere to release his own music, and eventually others’ as well. The label has since made an indelible impression in the American drum & bass scene. In order to compete with the way in which drum & bass releases sounded and were being manufactured, sound quality and loudness was paramount. 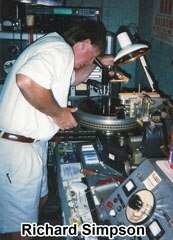 Working closely with Richard Simpson Mastering, E-Sassin was able to achieve masters for pressing records that were able to stand up to other drum & bass releases. Even Richard Simpson was surprised to be able to get a record master that “hot”. A major challenge for Sound Sphere was distribution. Using some ingenious marketing strategies to make the records appear as though they were from the UK, record distributors eventually took on Sound Sphere Recordings for distribution. The records were an immediate success and music buyers and DJs alike never knew, until later, that they were American productions. The first two Sound Sphere releases received very positive feedback and quickly established a high level of credibility for Sound Sphere and for E-Sassin’s productions. Each subsequent release has continued to elevate Sound Sphere to new heights, which in turn has gained the label well earned respect from artists and DJs throughout America and the rest of the world. Many of Sound Sphere Recordings’ releases can be found on high-profile compilations both nationally and internationally, including some from the legendary Dieselboy. After a ten year hiatus, Sound Sphere Recordings re-launched it’s online presence in 2014 with the entire back catalog available through high quality WAV and MP3 digital downloads. Along with some tracks that were written during “the dark period”, E-Sassin decided to put together a remix album project to showcase the talent of other drum and bass producers around the country. The project flourished with the main inspiration coming from Jo-S who was one for the first to contribute. Other atists providing their remixing talent were Mason, D-Star, Caelum & New Theta, The Voss, Centaspike & Indidjinous, Arsenic and the legendary R.A.W. (aka 6BLOCC), as well as E-Sassin himself. Subsequent releases featured new artists added to the roster including Parash, False Flag from Arizona and The Cenobites based in the SF bay area. Towards the end of 2018, as digital sales and support for Sound Sphere waned, E-Sassin made the difficult decision to close the doors and shut down Sound Sphere Recordings for good. It has been a good run for us, a small, independent DnB label, for more than 20 years. Being one of the first US labels dedicated strictly to the drum and bass genre, our music has reached people around the world, but the time has come to close this chapter in the history of American drum and bass. We would like to thank everyone who has supported us over the years. In order to keep our music and history alive and accessible, we are providing high quality, digital downloads of all of our releases for free…to anyone and everyone. with and for, Sound Sphere Recordings. Everyone else who is a fan of darkside techstep and has helped get our music heard around the world. There are many more who have been involved with Sound Sphere over the years. If you are not included in the list above, we did not forget or appreciate your contributions, we simply cannot include everyone. We may update this list over time to include more of you by name but we appreciate you nonetheless. BIG UP ALL THE DARK SOUND WARRIORS!